This issue’s Ethical Editor column addresses the topic of authorship in scholarly journals. The column discusses requirements for authorship, author order, inappropriate authorship (gift, guest, and ghost authors), and the increasing numbers of authors in bylines. Increasing technological development fosters global collaboration among authors in different disciplines and consequently leads to the proliferation of authors on papers. Contributing to confusion about who did what for journal articles is the existence of a variety of publishing forums (including blogs and data repositories) whose authors report and interpret research findings. Publishers, funding agencies, academic institutions, and commercial enterprises, as well as the public, face challenges in determining the contributions that individual authors listed in a byline made to the conduct and reporting of the research. The lack of transparency of the roles played by different authors in a byline is a problem. Had to have made substantial contributions to conception and design, acquisition of data, or analysis and interpretation of data. Had to have drafted the article or revised it critically for important intellectual content. Had to have approved the version to be published. In 2013, ICMJE added another criterion: 4) agreement to be accountable for all aspects of the work in ensuring that questions related to the accuracy or integrity of any part of the work were appropriately investigated and resolved. ICMJE states that anyone who contributes to a study but does not meet all four criteria should be listed in acknowledgments rather than in the byline. ICMJE encourages journal editors to develop contributorship policies that require authors to list their specific contributions, but journal editors do not commonly do so. Specific information about author roles would, however, contribute to greater transparency. In general, the ICMJE guidelines function as intended as long as authors follow them. The problem is that the guidelines are often disregarded because many contributors to a research paper do not meet all four criteria. In the minds of many authors, the four ICMJE criteria are impractical and do not mesh with the culture of assigning authorship in research groups. For instance, a person who designed a study (criterion 1) but who did not draft or revise the manuscript (criterion 2) would need to be excluded from the byline if an author group followed the guidelines (ICMJE now exhorts author groups to give those who qualify only for criterion 1 the opportunity to meet criteria 2 and 3). A researcher or medical writer who provided intellectual input on a paper for a pharmaceutical company may fulfill criterion 1 or 2 or both but not be listed as an author because he or she was not among those who approved the final version ( criterion 3). In 2007, Neurology encountered several situations in which academic authors were invited to be paid “guest authors” of papers that had been written by commercial entities (pharmaceutical and medical-writing companies). 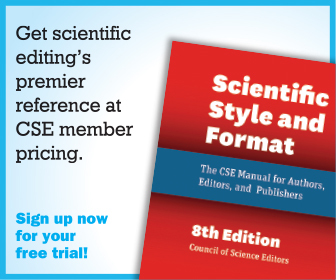 The editors decided to redefine the journal’s authorship criteria in hopes of avoiding guest and ghost authorship.2,3 The editors also decided to simplify the criteria and strengthen the contributorship model by requiring specific statements of contributions from the authors so that readers could tell who did what—research, writing, funding, and so on. Since the criteria were redefined and the requirement put in place for providing information about who did what, all authors have been required to state their contributions to the research or writing (completing an exhaustive checklist is mandatory), and their contributions are stated in the journal; authors are responsible for the contributions that they made, not for the entire article. The editors also believed that adherence to these criteria would enhance the professionalism of medical writers and give them credit for their intellectual contributions. Design or conceptualization of the study. OR analysis or interpretation of the data. OR drafting or revising the manuscript for intellectual content. The first two Neurology criteria are derived from ICMJE criterion 1; the third is derived from ICMJE criterion 2. Final approval, ICMJE’s criterion 3, is received from all authors in Neurology’s electronic tracking system during the review process, so this requirement is not stated separately in Neurology’s author criteria. Only one of Neurology’s three criteria is needed to qualify a person for authorship. Professional writers employed by pharmaceutical companies or other academic, government, or commercial entities who have drafted or revised the intellectual content of the paper must be included as authors according to Neurology’s criterion 3. This requirement recognizes that those who first draft a manuscript or revise it for intellectual content are able to frame the manuscript in a way that may influence the reporting and interpretation of the findings. The editors of Neurology believe that these writers should be named in the byline and their disclosures gathered as for all other authors. Contributors who do not qualify for authorship are listed either as coinvestigators in an appendix or in the acknowledgments section with their contributions. FundRef, a recent initiative of CrossRef, which is described in this issue of Science Editor, allows institutions to “identify major funders of their employees’ scholarly output”.6 The ORCID registry of unique identifiers, also described in this issue, will allow institutions to better evaluate specific researchers’ activity in scholarly efforts.7 It is expected that those initiatives and development of better definitions of author contributions will lessen author disputes; improve the capturing of researchers’ contributions from journals and other scholarly sources, such as data sets; and help funders to track research publications. For Neurology, the objective is transparency: to let readers know who contributed to the intellectual content of studies and the resulting manuscripts, which is an essential component of the highest quality of scientific reporting. Defining the role of authors and contributors. The International Committee of International Journal Editors. www.icmje.org/recommendations/browse/roles-and-responsibilities/defining-the-roleof-authors-and-contributors.html. Accessed March 2014. Baskin PK, Gross RA. Ghosts in the machine: better definition of author may stem bias. The Conversation 1 April 2012. www.theconversation.com/ghosts-in-the-machine-better-definition-ofauthor-may-stem-bias-4288. Accessed 5 May 2014. Neurology. Information for authors. 2014. www.neurology.org/site/misc/auth2.xhtml. Accessed 5 May 2014. Allen L, Scott J, Brand A, Hlava M, Altman M. Publishing: credit where credit is due. Nature 2014;508(7496):312–3. FundRef. www.crossref.org/fundref/. Accessed 1 April 2014. ORCID| Connecting research and researchers. www.orcid.org. Accessed 1 April 2014. PATRICIA K BASKIN is executive editor, Neurology Journals, Minneapolis, Minnesota.